Innovative Moving Solution Corp were incredible and showed a great deal of skillfulness during my move. I hired them based on their experience, positive reviews and affordable pricing. Until I met them I had no idea about who to hire. Luckily, they were ready to step in and take care of my moving needs. My belongings were loaded, transported and unloaded safely and except for one tiny scratch, nothing was damaged. They are outstanding professionals and I couldn’t speak highly enough of them. They were a major help during my transition. I have already recommended them to a good friend of mine who was also very happy with their service. All I can say is wow. These guys were incredible. Extremely expeditious and very professional but still super laid back. They accomplished in four hours what would have taken us twelve, and were very easy to work with. They had everything packed, loaded and unloaded very quickly and treated our things very respectfully. 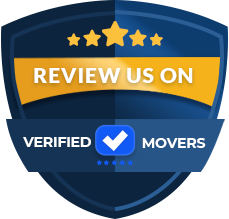 I would absolutely recommend them above other moving companies I've worked with in the past. The movers were very fast, safe and knowledgeable! They listened to our feedback and were very highly motivated. They were very refreshing to be around during a very tense and stressful time. I would highly recommend them to any and all!!! Everything was as advertised and more!!!!! A++++++ service!!!! I hired him and his crew for a move from an apartment to a house. They were great - fast, friendly, and very affordable. 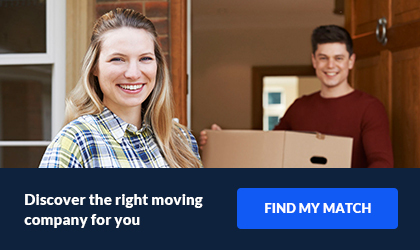 I would definitely recommend Innovative Moving Solution! We were impressed with this crew of men! All polite, hard working, no breaks or lunch... they were very careful with our furniture and wrapped everything to prevent damage to the woodwork. I was very impressed with them. We have moved several times in our life and these guys were the BEST! Thank you for all the hard work! They sent four guys, who were all incredibly respectful and careful with our belongings. I have never seen more time-effective movers, and they packed our tiny POD from floor to ceiling! I couldn't recommend them more! Very friendly and hard-working professionals! They arrived on time (a little early, actually! ), got down to business with no minor incidences or mishaps, and even stayed an hour+ extra when the move took longer than expected. I highly recommend this company, and would definitely use them again for any future moving needs! The movers were on time, professional, and careful with our items. Most impressive was how much they were able to carry - we felt like 2 movers from this company did the work of three, maybe even four, from another company (and we've moved a lot!). Highly recommend! They actually cared about our stuff and the house, which was a nice change of pace from other movers we've used in the past. He oversees everything and will go out of his way to make sure you are satisfied. Highly recommend! Excellent movers. Very friendly and on time. Packed my items with great care. Worked quickly and efficiently. Great job! Innovative moving solution corp are happy to accommodate any kind of moving needs. Whether you are moving a small business or planning a corporate move, there’s nothing that can stop them from providing an outstanding service. An enviable work ethic along with a timely and efficient service helped me see the entire moving process through without major troubles. Although moves are famous for being stressful and overwhelming, I had an impression that everything went smoothly and effortlessly. I actually never thought that moving can be as trouble-free as they made it seem. Their commitment was very admirable. I hope everyone will be as satisfied with their services as I am. With Innovative moving solution corp everything worked out great. I was researching moving companies for a while and only they seemed like an acceptable option. But, they were more than that! They were a reliable assistance during my exhausting move and thanks to them nothing was lost or damaged. From our very first phone call I was confident that my move would be in good hands. An experienced and efficient moving crew completed my move in no time so it seemed like a breeze. Totally unlike my previous experience with another moving company! It’s good to know there are still trustworthy movers out there!! At Innovative Moving Solution Corp, we know moving can be stressful through a consumers experience. As well as first hand working for companies that bring a bad name to the industry. With over ten years of experience this company was inspired by a team of hard honest working individuals. They are all wanting to bring a new innovative way of helping people move. Additionally, helping our carriers in our accredited network stay in compliance with dot standards. We truly believe a broker is fully responsible for actions of and only as good as the motor carrier in its network. Innovative Moving Solution Corp isn’t just you’re average household moving broker coming into the moving industry with the standard mindset. What is the standard mindset? Just wanting to provide the same services a carrier can offer but at a more efficient rate. At Innovative Moving Solution, we not only want to provide our clients a competitive low rate with discounted cost but our mindset isn’t all about price, its service. We want to be our customers’ advocate, we believe in proper compliance, and dot regulations. 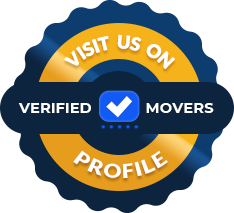 Offering our expertise in the moving industry to ensure that you get the best deal that fits your needs, taking care of all the necessary research and pre-screening processes, and even negotiating discounts with every moving carrier we recommend. Furthermore, our research and pre-screening process has many steps to it. They are all necessary to make your relocation risk-free, and satisfactory.